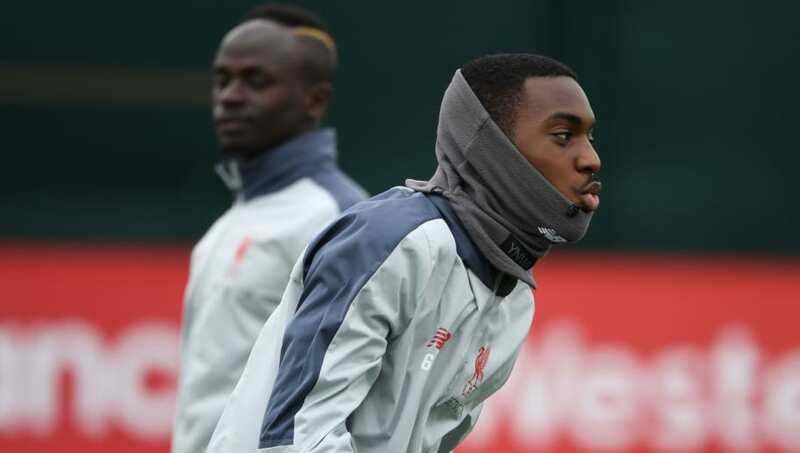 Liverpool youngster Rafael Camacho has landed himself in hot water this week after posting angry comments on social media relating to selection decisions. The Portuguese teenager - who starred in Liverpool U23s' 6-0 thrashing of Leicester City U23s on Sunday - posted a controversial message that critiqued coaching decisions at the club, drawing attention to his playing position in particular. The former Sporting Lisbon player was among the goals on Sunday, netting a second half hat-trick at the King Power stadium despite starting the game at right-back. As quoted ​on his Instagram however, the ​Liverpool starlet wrote: 'I do not know whose idea it is, but I will prove that they are mistaken about my football. Camacho has been named on the bench for a handful of ​Premier League games this season, yet has not been able to break into the starting XI under Klopp. Although it is certainly in the club's ethos to grow fullbacks to be attacking threats - the likes of Trent Alexander-Arnold impressing over the last few seasons - Camacho seems to be very perplexed by the decisions that have seen him start in such a defensive role. Although his post isn't explicitly targeting anyone at the club, the sense of warning in the teenager's words could likely be a dig at U23s Coach Neil Critchley, and first-team manager Jurgen Klopp. Camacho, who made his senior debut during Liverpool's 2-1 FA Cup loss to ​Wolves in January, will likely face consequences for his outburst. With transfer rumours in January already linking him with a potential move away from Merseyside, perhaps after this incident it won't be long before the youngster departs from Anfield.